You could’ve had staked your life savings on Brian Clough being absolutely fuming with the Notts County defence come 5 o’clock last Saturday evening, were Old Big ‘Ead still with us of course. The Magpies travelled up to Yorkshire that morning knowing they had the opportunity to well and truly piss on Huddersfield’s bonfire – a club on the brink of breaking a very prestigious English Football League record. A week or two ago, the Football League record for consecutive unbeaten games belonged to Cloughies’ famous Forest side of the late 1970’s and early 1980’s, who went 42 games without defeat between November 26, 1977 and November 25, 1978. 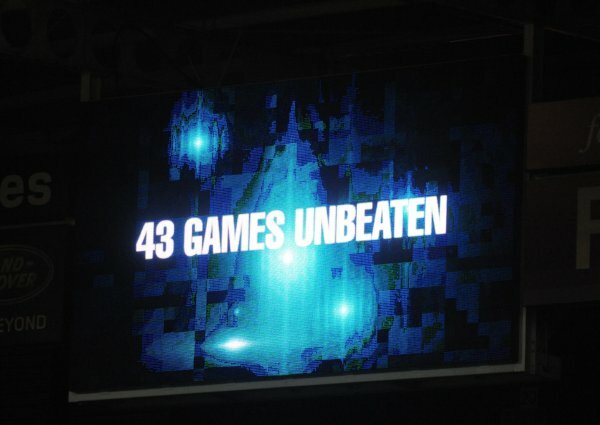 At around 4:51pm on Saturday afternoon, after a laboured 2-1 victory over County at the Galpharm, that record now belongs to Huddersfield Town and Huddersfield Town alone. For the past 43 league games on the trot, the Terriers haven’t conceded more goals than they’ve scored. Simple as that. Huddersfield themselves aren’t the most enterprising of teams you’ll ever come across, but you can’t argue with their consistency. At the helm is the young, gifted and Geordie, Lee Clark – a chap many may recall from his playing days as a fairly underrated midfielder for Newcastle, Sunderland and Fulham in the not-so-distant past. That said, while his playing career was arguably ‘solid’ at best, Clark’s managerial career is looking far more promising. After taking the reigns at the Galpharm Stadium in 2008, under Clark’s greenhorn stewardship, Huddersfield only lost two home games throughout the entire ’08/’09 season. In his second season they secured a League One play-off spot but lost out to Millwall in the semi-finals. The following season, they went one better and reached the play-off final before being defeated by Peterborough at Old Trafford. For many teams, given the ruthless tendencies of chairmen these days, two play-off defeats on the spin would have seen Clark get the axe. Yet Huddersfield’s chairman, Dean Hoyle, obviously recognised what he had and kept the faith in Clark – something very rarely seen these days. Ambitious and unapologetic, Clark’s sterling forays into management so far have already seen him linked with some big vacancies. Just recently it was alleged that Championship yuppies Leicester had made an enquiry into Clark’s availability before they decided to welcome the crew-cut Nigel Pearson back into the King Power fold. It would be remiss to discuss Clark’s success without mentioning the team on the field, doing the business on his behalf week in, week out. Comprised of a classic mix of wily veteran’s (Gary Naysmith, Joey Gudjonsson, Danny Cadamarteri and Damien Johnson) and headline-grabbing youngsters like spurting 21-year old Scottish striker Jordan Rhodes (who scored both goals against Notts County and now has 16 goals in 14 appearances this term), it looks like the Terrier’s have their squad dynamic down to a ‘T’. What makes the 43-game unbeaten streak even more impressive is that League One must be one of the most unpredictable league in the country. As the old adage goes: ‘Anyone can beat anyone in this league’, yet Huddersfield continue to march on unscathed. Up next they have the task of facing league leaders Charlton. 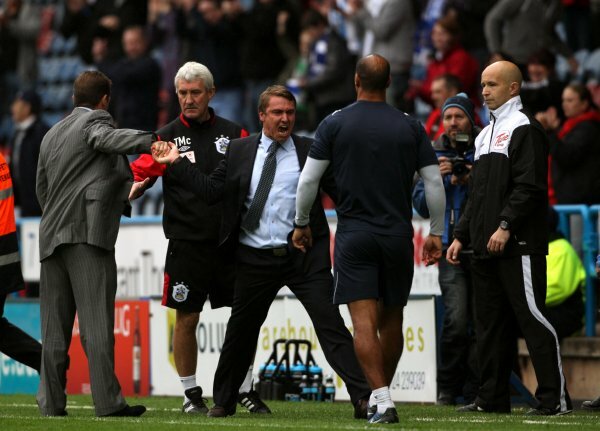 Regardless of Clark’s reluctance to acknowledge the next record in Huddersfield’s sights, a win over the Addicks will mean the Terriers move to within five games of toppling the Arsenal Invincible’s all-pervasive English record of 49 games unbeaten. Though I’m sure Arsene Wenger won’t see it if they do. Greg writes for Zeene and film blog Little White Lies. He’s also an avid West Brom fan, presumably for something terrible he did in a past life. Cracking stuff Greg. Strange how it seems to have slipped under the radar somewhat considering English football history has been made. @Betty: Fair dos. It was a bit of a stuffing wasn’t it? Well done Swindon. Also, I must commend your dedication to the new name. Must be a bit of a ball-ache typing that out every time, no? @Chris: I’d probably forget how to spell it if I had to do that, my comp browsing history does it for me. Great for this, bad for when the missus decides to type in http://www.por for portsmouth university…very bad. I think they got one page in The Sun and that’s about it really. Didn’t even get a big feature on the BBC’s football league show. Well done Huddersfield. Oh and well done Swindon. Always nice to see a former Premier League old boy doing well. @STFC: yes i’m not alone on this site! It is a brilliant acheivement the only problem is we capitulated after 80 mins in the play off final and we draw too many games against “lesser” opposition. That said bring on Charlton! !